What a week of coding in the Lower Division! 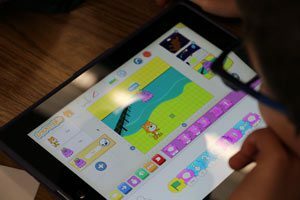 During the final week of school, students enthusiastically experienced coding, some for the first time, when the entire school participated in an Hour of Code. Hour of Code is a global movement designed to “demystify code, to show that anyone can learn the basics, and to broaden participation in the field of computer science.” If you are wondering what coding is and why is it relevant to your child check out this short video. 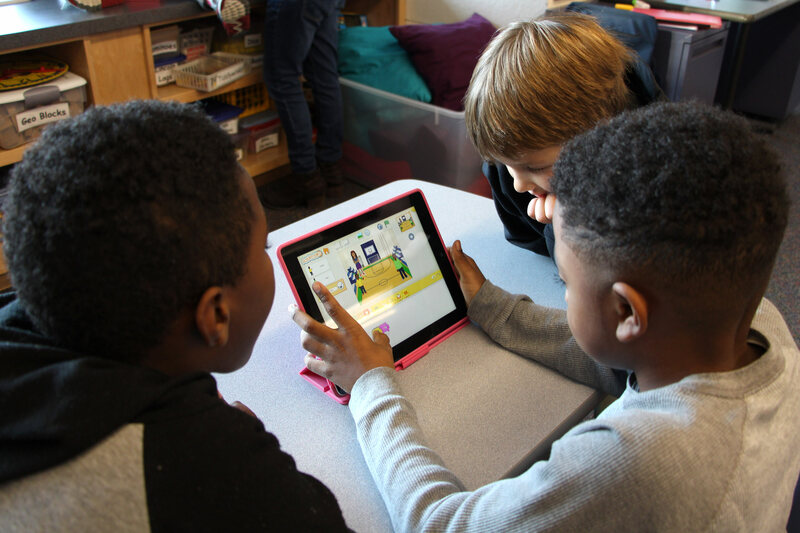 The Hour of Code was the perfect opportunity to have all of our students share in the work of coding. Students in Pre-K explored coding with Beebots, colorful, easy-to-operate robots designed for small children. 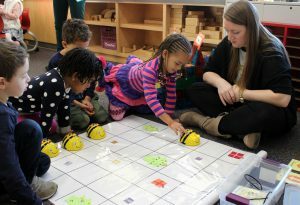 They programmed Beebots to move forward, backward, right, or left across a grid. The Kindergartners programmed Kibos, robot kits suitable for ages 4-7. The students generated code to move the Kibos and could add commands such as shake and beep. They were also introduced to the idea of the forever or infinite loop, which causes the desired action to repeat indefinitely. Some students programmed the Kibo to move out of the classroom and down the K hallway! In Grades I and II students used iPads and Scratch Jr, an introductory programming language, to write number stories. Children delighted in the work and look forward to more coding experiences in the classroom. Below are my top three reasons why I believe coding is an important skill to teach. 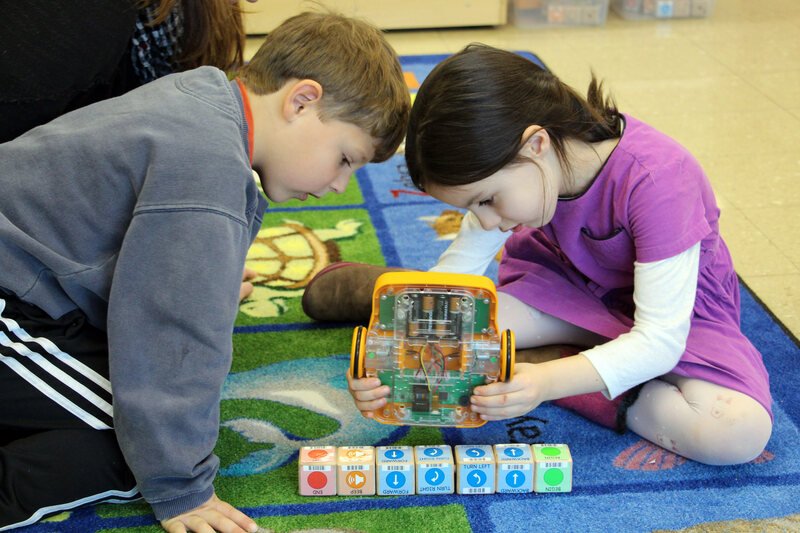 Click HERE to see a Kibo robot in action! Kimberly joined The Park School faculty in 1995. She taught for 18 years in the Lower Division before becoming the Director of Apprentices and Coordinator for Park21. She also co-founded PSite (Park School's Institute for Transformative Education). Kimberly now brings her teaching and leadership experience to her position as Head of the Lower Division. She is excited to lead a faculty that is passionate about educating children. She enjoys spending free time with her two children, Ellie and Thacher (both Park School graduates) and her husband, Jim.